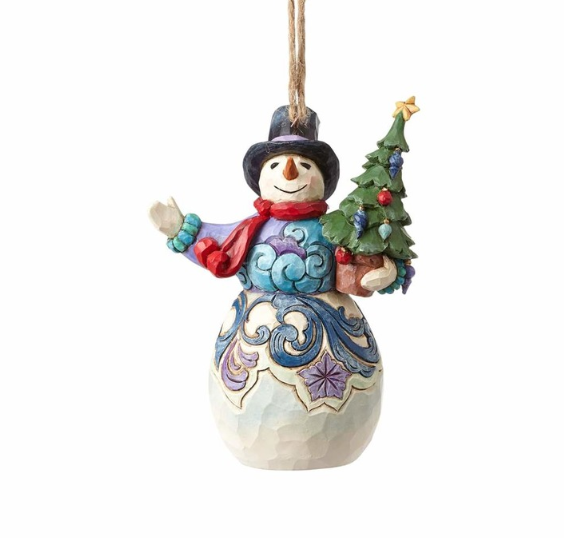 This stone resin snowman welcomes the holidays with open arms – well, one open arm. The other is happily wrapped around a star-topped tree. 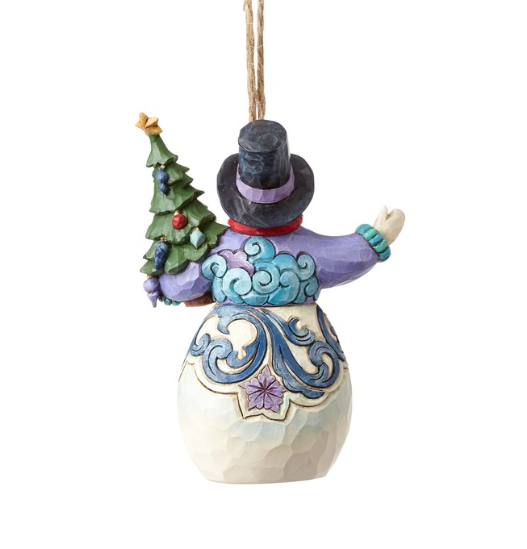 Wintry rosemaling and a festive scarf add color and whimsy to the 4.5” handcrafted design.